Sorry to fall off again, but I've been enjoying doing nothing so much that I can't bring myself around to doing something. And I haven't even fallen back into the clutches of Second Life... my participation there has been cursory at best. I've been playing some FaceBook games, and reading A Clash of Kings, but nothing intensive. Instead, I've been staring at the ceiling a lot, sleeping a lot, and watching movies and TV shows online a lot. But my July wasn't all about vegetating... I took a trip, and I've been putting together my Halloween costume, and working on some interesting projects. 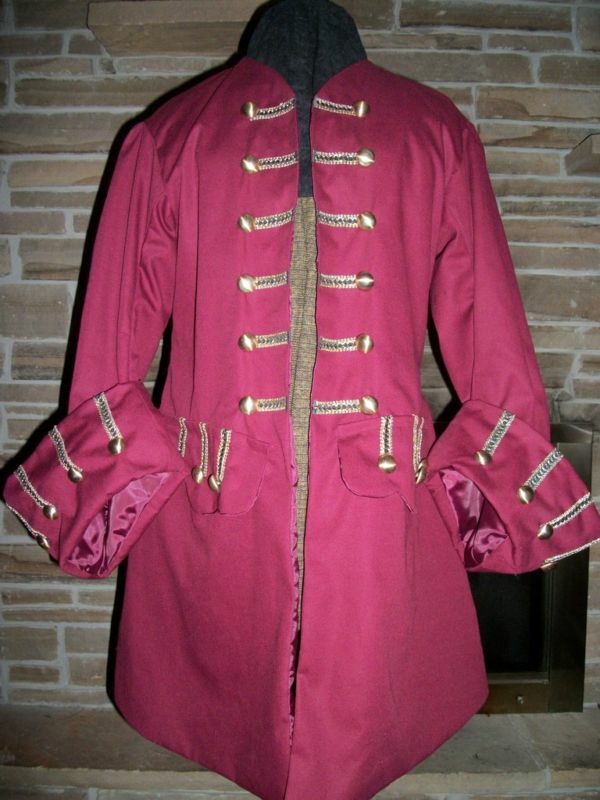 So for Halloween this year, I'm doing a French courtier of the period of Louis XV. I don't know if I want to try to be an actual historical figure or a figure of literature or just a generic Courtier, but I'm definitely focused on the Louis XV period (that would be 1715 to 1774...wow, he was king for a long time! But then, he started at age 5, poor thing). 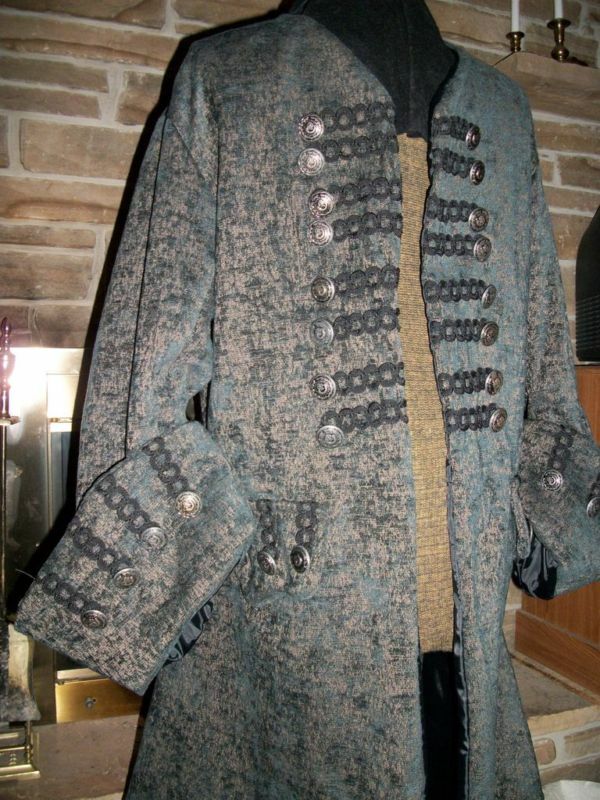 I'm having it made in black velvet with silver frogging and buttons, and a silver-and-black damask waistcoat with pearl buttons. 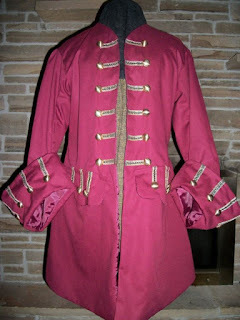 I ordered it without knowing what period it was meant to be, though, and had to do a lot of research to discover when cuffs like that were used with hip-length waistcoats... the cuffs originated at about 1680, the middle Louis XIV period, but were worn with waistcoats the same length as the coat; the shorter waistcoat was more common in the Louis XVI period, but the cuffs of those times were much slimmer. 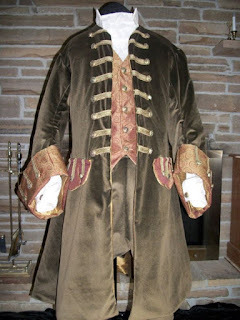 So the cuffs and the waistcoat in those proportions only overlapped for two decades, placing us firmly in between the 1750s and the 1770s. The seams across the instep are out-of-period, but since they're black and will be adorned with shoe-buckles, I don't think anyone will notice. As an added bonus, I discovered when I wore them recently (before adding the buckles) that they're incredibly comfortable! I was definitely not expecting that, considering the height of the heel and the point of the toe. 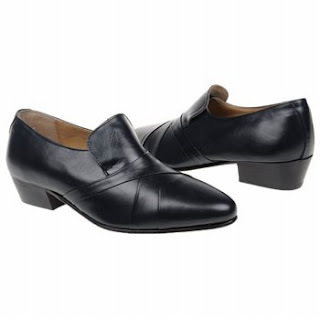 I don't think I'll ever wear low-heeled dress shoes again. 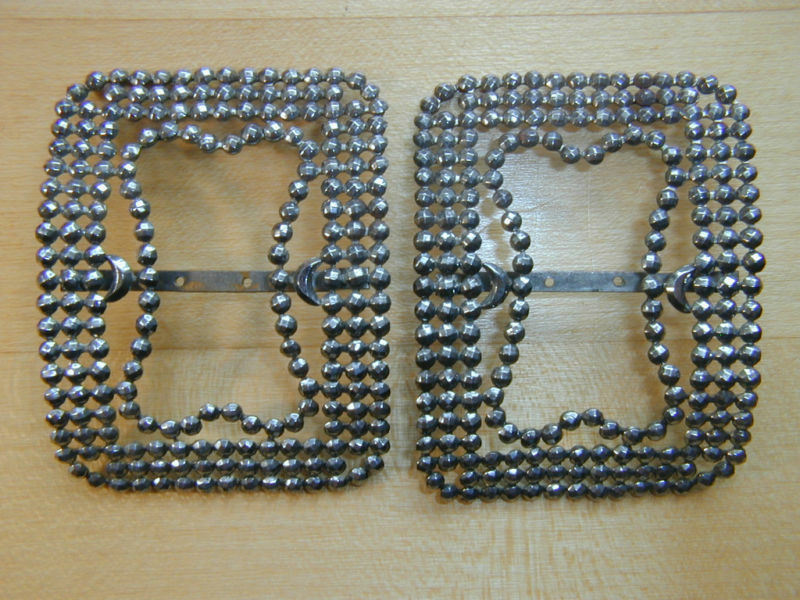 Though they look from the front like cast silver, and have a subtle sparkle like marcasite, they're actually cut steel... each of the steel beads is individually riveted to the frame. I'm going to place bows behind each buckle, either black satin or the same fabric as the waistcoat, and sew the buckles to the instep of the shoes. Unfortunately, it cost an obscene amount of money for a hat... though not an unreasonable amount for an authentic beaver felt hat from a fairly obscure era, custom-made to exactly fit my big ol' melon. 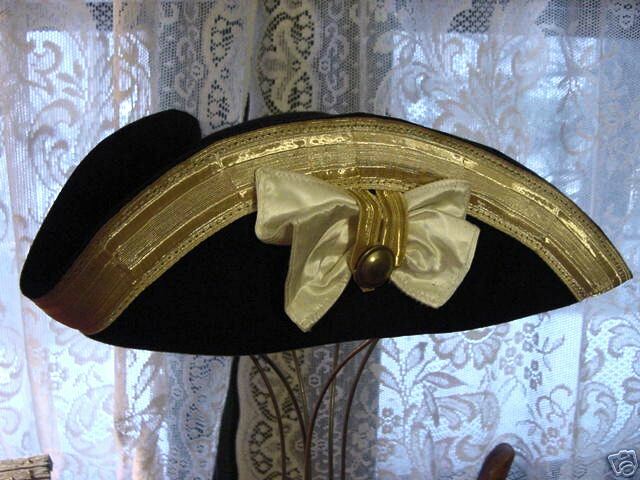 And seriously, it was the only hat I could find that was the correct shape, so I coughed up $200 for it. The suit was $300, so I was reluctant to add that much more to the kitty (the shoes and buckles together cost about $100), but I figured I might as well just go whole hog on this year. The idea that I probably don't really need a hat to sell the costume occurred to me, but that idea was dismissed as unsporting. And speaking of sporting, my next purchase was an appropriate sword... of course I had to have a sword! I've become quite obsessed with swords over the last few years (I have six of them), and no costume is complete without one, even though I usually end up not wearing it, either because of weapons bans at the places I go for Halloween or because the sword is too heavy to be carried comfortably. 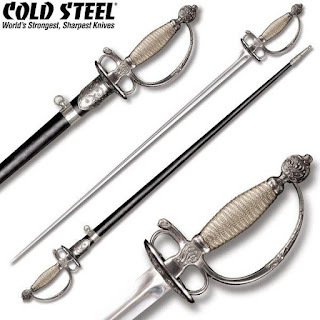 But again I had to do some research to discover what kind of sword is correct for the period; yet very little research was needed to discover that only one kind of sword would do: the smallsword, an evolution from the rapier but predecessor of the epee. Sadly, among all the cheaper reproductions available online, the period is completely unrepresented... cheapskate collectors seem to prefer Renaissance rapiers and military sabres to delicate Rococo smallswords... most of what was available were antiques costing in the high thousands. It recently arrived in the mail, and I have to admit that this was a good investment. The quality is amazing, it's feather-light but extremely strong (the edges aren't sharp, but the point is), and the detail is gorgeous, the picture doesn't do it justice. In its scabbard, it's so well balanced that I can hang it from a hook in my belt and it doesn't swing around when I walk. And so although the sword brought the cost of this little folly dangerously close to a thousand bucks, I am very glad I bought this particular blade... it makes my other swords look like toys. So now I'm pretty much all ready. I am still waiting for the suit to be made, the costumier was a little backlogged and then was scheduled for surgery, but she promised me an early September delivery date; and the hat should be on its way right now, though it hasn't yet arrived. 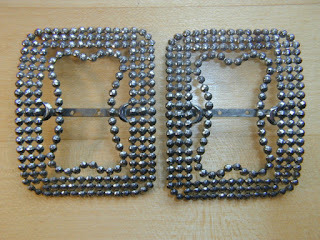 Then I have to sew the buckles on the shoes, which shouldn't be at all difficult. And I'll need to get a proper powdered wig... the costumey one I have isn't bad, but I'd like to get a more theatrical-quality piece if I can. All that's left is to decide on a character, and then think of where to go. I plan to wear this costume to the Bal des Vampires in November, but I'm sure Caroline will have some good ideas for Halloween as well. Last year we went to the California Academy of Science's Nightlife, and had a great time; we also went to Slide, where she had a great time and I was bored out of my mind. Speaking of the Vampires' Ball, I have discovered a rich vein of Goth in my own backyard. While playing Second Life, I met a gentleman who produces and co-DJs a monthly goth club right here in Oakland! It's called Solace, and it is more of a social salon than a dance club — though dancing does occur there, the music never gets louder than the conversations, and shies clear of the industrial/punk/metal sounds that permeate most goth venues. I went in June with Caroline, and had such a good time that I went back by myself for July, and intend to visit in August for their anniversary party, and to simply make a monthly habit of it as long as I can. 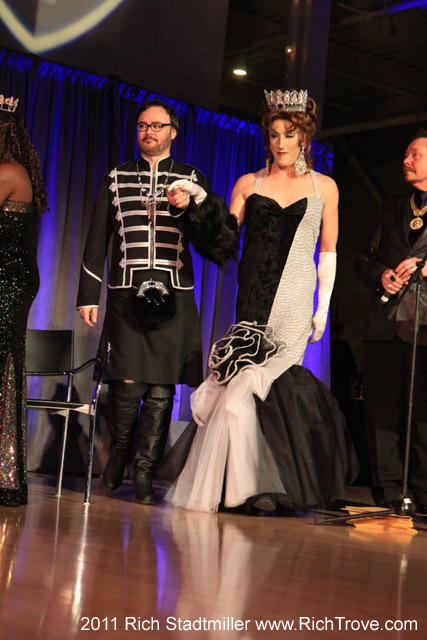 And it was there that I heard about PEERS, who host the Vampire's Ball as well as monthly events that I'm going to start looking into. "What?! You're going out in public!?" I hear you scream in disbelief. Or maybe just relief... I know I'm relieved. While I still find myself somewhat uncomfortable in crowds, I have been going out a lot more lately, and am planning to make more a habit of it in the future. I'm becoming more involved in the Grand Ducal Court as well, having discovered an expedient that boosts me over my discomfort level: I go in male drag. Not just street clothes, but dressing up in costume. 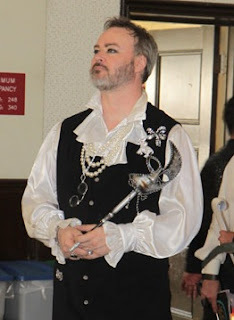 I attended San Francisco Imperial Coronation in a military band jacket and a kilt; and then attended Alameda Ducal Coronation in a tailcoat and satin pirate shirt (both times with boots, naturally... I'm big on boots these days). 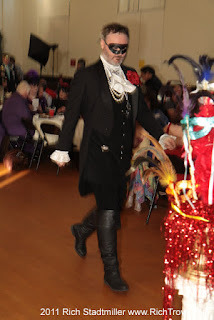 Being in costume is very liberating, and not having to wear corsets and wigs and foundation and heels is even more liberating... put the two together, and not only am I very comfortable and happy to be out in public, but I have a reason to wear all the costumes I'm always buying, other than the usual Halloween. I guess that's why I've felt enabled to spend so much money on the Louis XV folly, if I can find a half-dozen reasons to wear parts of it instead of just once a year. 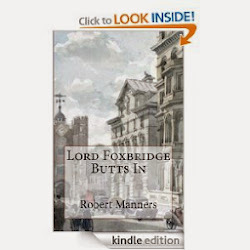 So I plan to reenter the Court spheres as Robert Manners instead of Marlénè Manners, and see how that works out. I'm not sure I want to perform as a male, though... but we'll cross that bridge later on. Oh, and did you notice the beard? I decided to grow it back over the winter, in February to be exact, when I got my new glasses (black frames with a bifocal!) At first I dyed it and my hair to match my glasses, but after a while I got used to the gray and decided it was a good look for me. Unfortunately, I think I'm going to have to shave it off for the Louis XV look... nobody but peasants had beards in 18th-century France. Which is too bad, because it's a good look for me... and more importantly, it covers up the sag in my chin, which I hate. Not many people notice the sag, but I know it's there and it saps my confidence. With the beard, I feel better about my appearance, and that translates into people being attracted by my appearance. People actually flirt with me! And I must say, I enjoy the hell out of that. Oh, and I mentioned a trip! But I'm too tired to tell you about it right now. So I'll pop in later this week and show you some pictures. In the meantime, have a simply gorgeous day!